Paint splatters and spots are among the most bothersome stains to remove from leather. One of the biggest mistakes that you can make is to reach for a solvent, such as paint thinner or turpentine; the solvent will cause more damage to the leather than the paint did. This doesn't mean that removing paint spots is impossible -- just that the job just might take more time and patience than you expected, especially if the paint has dried. It helps from the outset to know whether you're dealing with oil- or water-based paint, because the removal procedures are slightly different. Roll a paper towel into a tube and use it to dab as much of the paint off as possible. 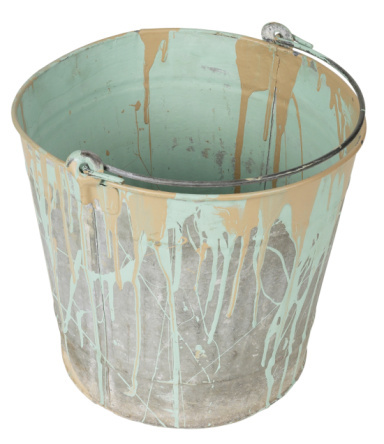 The trick is to avoid spreading the paint beyond its present boundaries, so avoid rubbing or blotting with anything with a diameter larger than the spot. 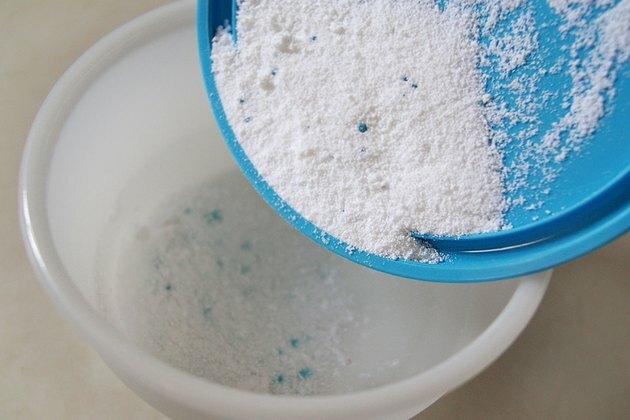 Mix a quart of hot water with an ounce of mild detergent, such as dish detergent. Use this mixture to sponge away the paint residue left after you've blotted as much of the paint off the leather as possible. 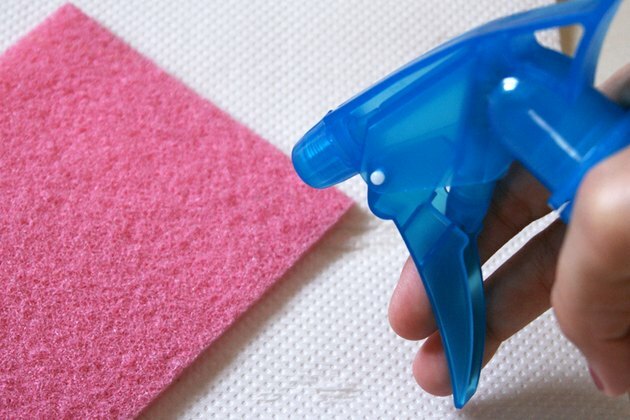 Dry the leather with a paper towel. Rub the area down with a commercial, silicone-free leather conditioner. 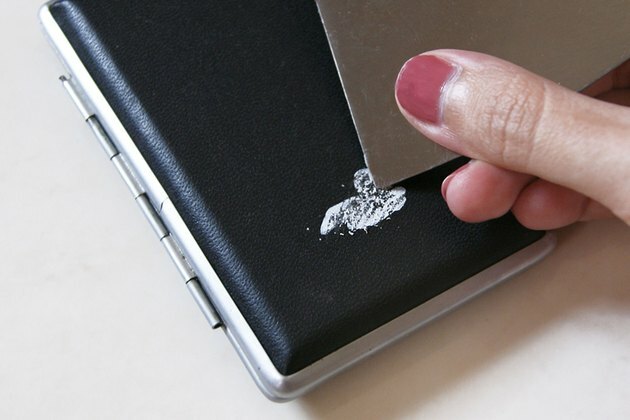 Remove as much of the dried paint as you can by using the tip of a sharp knife or a pin. 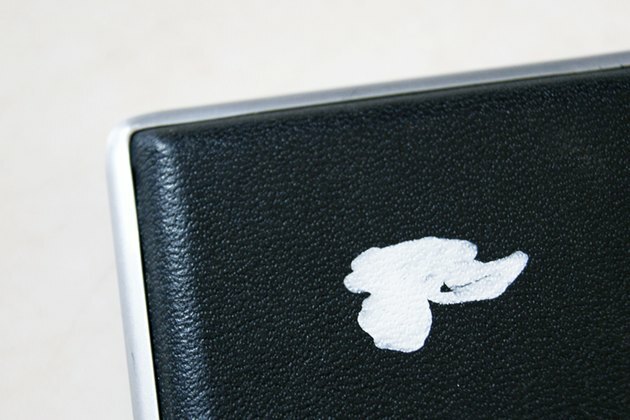 Do this carefully to avoid scraping or puncturing the surface of the leather. Spray a mild citrus cleaner on the residue, using a plant spray bottle. Soak the area immediately surrounding the paint, but avoid covering a wide area. The trick is to target the paint while affecting the leather as little as possible. Let the cleaner soak for a minute, then spray some of the cleaner on the corner of a kitchen scrubbing pad and rub the paint vigorously and lightly. Avoid exerting enough pressure to mark the leather. 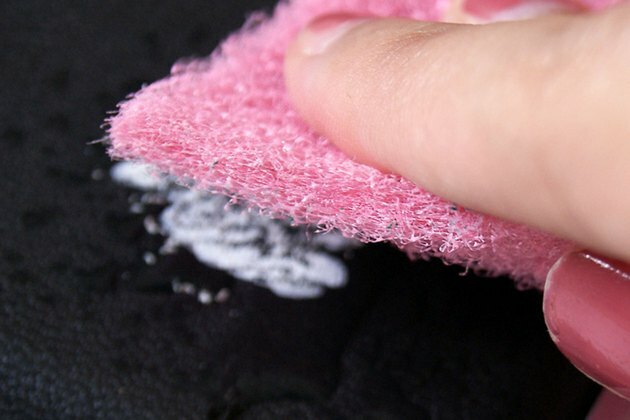 Wipe the area dry with a clean cloth and check your progress after about a minute. Spray more cleaner and continue rubbing if some residue remains. Continue in this way until all the residue is gone. Wipe the area with leather conditioner to restore the leather's natural sheen.